The city of Budapest has so much to offer: culture, history, architecture, friendly people and an infamous nightlife! Having a night out in Budapest is a top priority on many travellers’ bucket lists, but with so many options, where do you even start? It’s easy to become overwhelmed: if you were to check out a new bar or club every day, you would be busy for a long time! 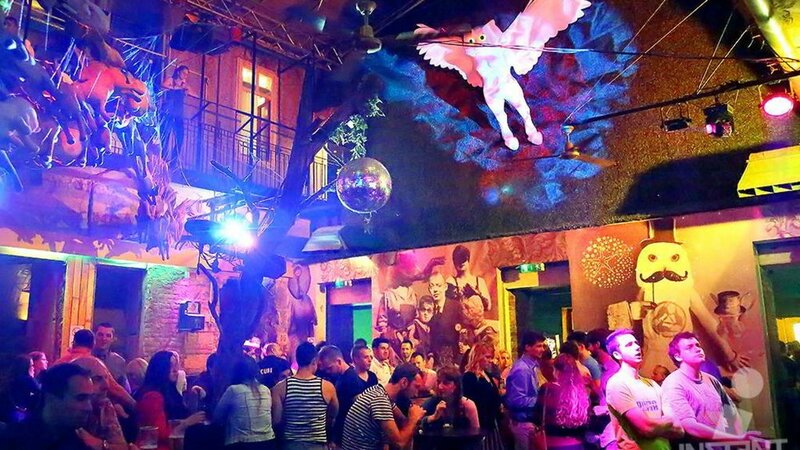 To make it easy for you to navigate the nightlife scene of Budapest, we have compiled a list of six spots that are tried, tested and definitely worth checking out! (For non-drinkers, you can also have lots of fun on a night out here! All of the places have enough atmosphere and charm that you don’t even need alcohol to enjoy them). Ellato is a lively bar right in the heart of Budapest’s party district. There’s lots of seating space and big tables, so it’s perfect for bigger groups as well (it is a popular stop on many organised pub crawls as well for this reason!). Drinks here are fairly cheap, and on some nights they have a DJ playing party classics on a little dancefloor. The atmosphere is relaxed, and you are bound to meet fun people here. Don’t forget to check out the room in the back! There’s a pool table and table football ready for challenging your mates over the next round of beer. Or, the one with the whale – there’s two huge whales to be spotted inside this bar, one is a mural, and the other a huge sculpture in the connected club area. Here you can find inexpensive drinks and a seating area perfect for a chill night out with friends while still being able to talk (and not having to scream for someone to understand you!). The club part of this bar is what makes this place especially unique – on some days they have DJs or even bands playing their best stuff here, often with free entry, so you can go from having Budapest’s famous Palinka (Hungary’s traditional liquor) at the bar to living it up on the dancefloor. For specific events and drink deals visit Kuplung’s Facebook page. The number one ruin bar in Budapest! 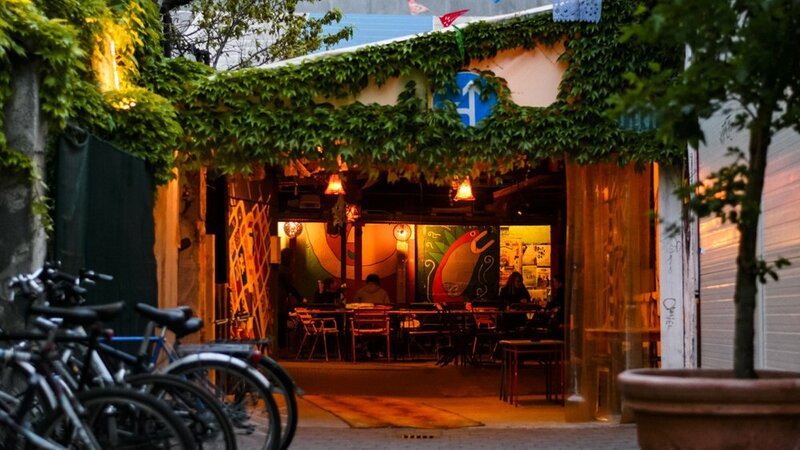 If you only go to one bar during your Budapest stay, make it this one! It is essentially a two-story pub inside a converted factory building, with multiple areas to sip a beer, dance to different styles of music and be amazed by the interior. First timers, definitely make sure you walk through the entire space and look around – There’s art and funky decorations everywhere! Szimpla is certainly not the cheapest bar in the city, but since Budapest is generally inexpensive, it won’t break the bank. Due to it’s well-deserved popularity the inside can get a bit packed and there can be a queue outside. But worry not - the queue usually moves pretty quickly. If you are standing next to the Food Truck market, expect a 10-15 minute wait that will be absolutely worth it. Where there’s ruin pubs, there’s ruin clubs. When you are ready to hit the club, make sure to check this one out! 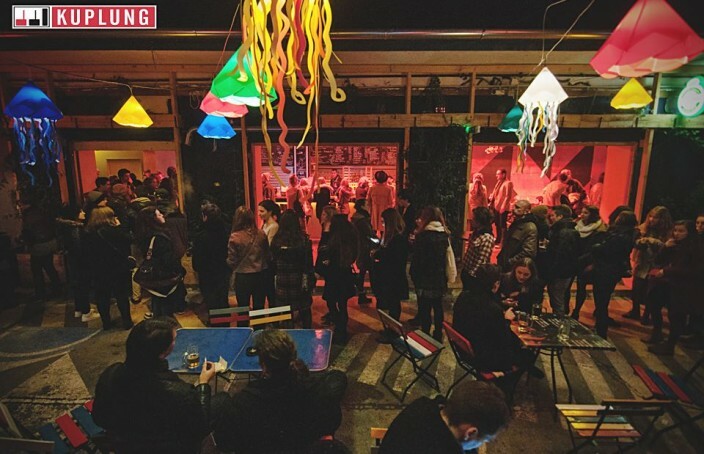 It has two dancefloors with resident DJs turning it up until late, and the set up of this venue gives it an amazing vibe: the inner courtyard is open-air, with a big tree in the middle. This is perfect for taking little breathers in between dancing sessions or chatting without having to scream over the music. The entry to Doboz is free for women, men have to pay 500 Forint (that’s less than €2). Ladies, finally some perks for us! The atmosphere here is usually fantastic, it’s full of people all wanting to have a great night. Seeing Budapest from a boat on the Danube river at night is essential to visiting this city. And of course you want to get a little rowdy as well! I have just the thing for you: a boat party! During the 2-hour long cruise you will get to enjoy the city with all its lights and drive past highlights such as the Hungarian Parliament building, all while getting boozed up and dancing on a ship with hundreds of others. Depending on the day, there are different types of parties happening - for example one with an open bar all through the night or the Sunset Drift, a daytime party cruise. You can check out the dates and prices on the website. This is definitely not super low-budget, tickets can cost around €20 depending on the event, but this is definitely a night you’ll never forget (or if it’s Open Bar day, maybe never remember…)! Also, the ticket price includes entry to an after party at a club, so you can party until the break of dawn. Now, this is the biggest club in Budapest – and woah, is it an experience! Instant is always buzzing with people and energy. It is where all the party animals, local and foreign alike, come to dance the night away, and you should be one of them! Especially if you are not used to very big clubs, Instant might seem a bit confusing and almost like a maze at first. There are 6 dancefloors on 3 levels in total, covering many genres: Rock and Pop Punk, R’n’B, Hip Hop, House, Drum‘n’Bass, Techno, Latin, Pop… so whatever type of music you like, you will probably find it here (please note that DJs are always changing and they might not always have every genre on the same day). Regular entry is free (budget travellers, rejoice! ), but since it is so famous among both locals and tourists, there might be a (very) long queue outside. If you don’t want to wait in line you can go through the VIP entrance for 1500 Forint (less than €5), you’ll also get a free shot and a wristband, so you can come and go all night. Like most places in Budapest there is no dress code, so no need to break out fancy clothes or shoes. Also, here’s a savvy little hack: there are 200 Forint deposits for the cups, and many people just leave their empty cups around, so be smart: pick up two cups per person and bring them to the cloakroom to get the deposit. Get those coins for the after-club feed! 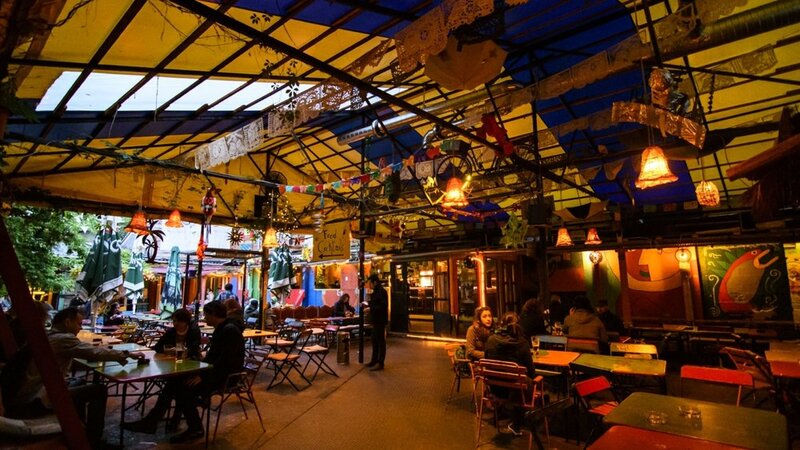 If you were to only go out once, the best way to get the most of the night is by checking out one or two of the bars, including Szimpla, and then heading to Instant for a thorough Budapest nightlife experience. And here’s the perfect way to end the night: Head to the Liberty Bridge, that’s the green one. Sitting on the bridge with your head still buzzing from all the music and the new memories, looking across Budapest and watching the sunrise. It’s those moments that really make you appreciate life. Now that you are fully equipped, there should be nothing in the way of your nightly adventures! Stay safe, and go and have the time of your life!